Gino Malkin punching Derian Hatcher in the face is further evidence that he is one of the best all-around players in the game. 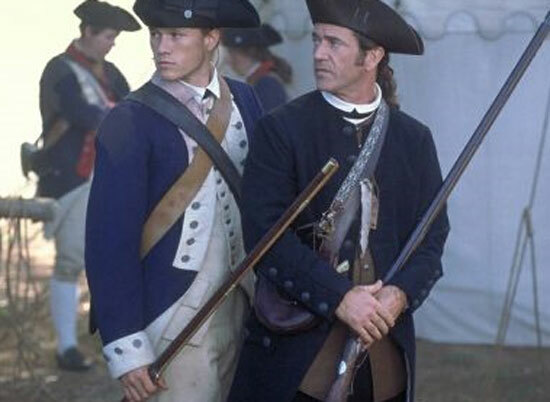 The Flyers blue line is starting to look like the Continental Army in The Patriot. Can Jaroslav Modry be Philly’s Benjamin Martin? Detroit clearly doesn’t have enough offense. They have had 6 different players score each of their six goals this series. Both conference finals may not go as deep as we originally thought, but hey, Red Wings- Penguins is looking pretty exciting right now. UMBC is a legit program who will continue to improve. Canisus? Anyone know where that is? Did they have a game yesterday? Darrell Rasner improves to 2-0 holding both Seattle and Detroit to 2 runs in 6 innings. Rasner’s performance is further evidence that the Yankees can’t keep thinking in terms of Chamberlain-Hughes-Kennedy. They have a generation of solid, young pitching waiting in the wings. It would be foolish to not ensure that each got a fair shot. Robbie Cano is on a six game hitting streak. Not quite batting on the interstate yet – let’s say he is still stuck in traffic on the Cross Bronx. Jason Giambi is hitting .333 with vast increases in on base percentage in his last seven games. I am upgrading him from “useless” to “not exactly hurting us.” Let’s see how long he stays there. I need to do better at not falling asleep when the final group is on the 72nd (and 73rd) hole. If Paul Goydos can be that cool about losing a tournament I have no business throwing my putter in the bunker after three-putting a birdie putt. In golf, the better player always wins. You can get all of the bounces you want; the player who hits the ball best from tee to green wins the tournament. This week, it was Sergio. Garcia led the field in driving accuracy and greens in regulation, which compensated for his average putting performance.